A lifelong musician who fell in love with the sounds of Renaissance Europe, Rachel found her true voice through the viola da gamba, a 6-string, bowed instrument with frets. She also plays Baroque ‘cello and sings professionally. Toward the end of a dark period in her life, Rachel took residence at a yoga ashram where she embraced the path of self-unfoldment through yoga asana (poses) and meditation. Upon the completion of a year-long residency, Rachel relocated to the Philadelphia area to pursue a career of helping others heal through both yoga and music. Rachel divides her professional life between performing music and teaching yoga asana, meditation and philosophy. Her passion is teaching yoga to those who would not normally have access to the healing modality; those recovering from addiction and people who suffer with severe depression, anxiety and eating disorders–children, teens, adults and seniors. Her yoga practice never ends…whether she has a musical instrument in her hands or is on her mat. Rachel’s writing has appeared in various music and yoga magazines, newsletters and journals. She is also a visual artist, animal-lover and nutrition advocate. 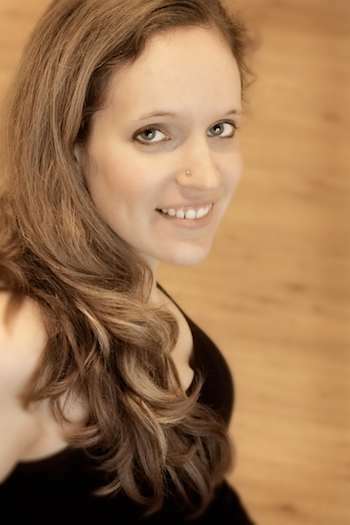 Rachel is guided in her teaching and performing by the first yama (precept) of yoga philosophy, ahimsa (non-violence). She is an ethical vegetarian–but also believes that ahimsa is most important when practiced toward oneself.